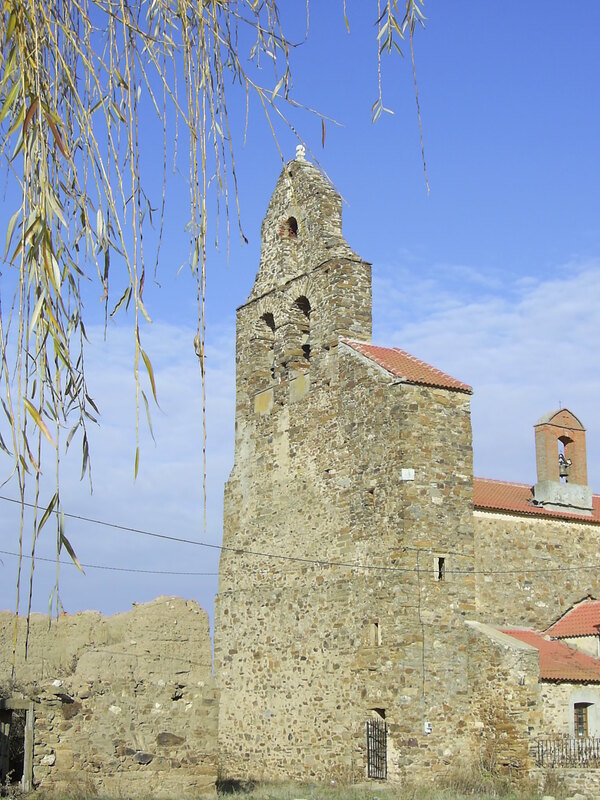 Police have recovered a Roman marble head that was stolen from the facade of the Church of San Pedro in the village of Quintana del Marco in the northwestern Spanish province of León. 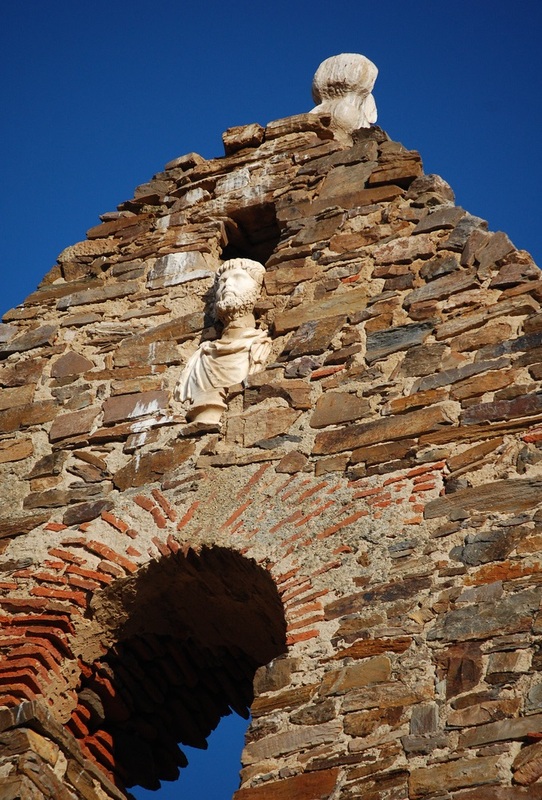 Attached to a bust via a noticeably fractured neck, the sculpture was embedded in a niche 45 feet up the church bell tower in the 18th century. In a daring nighttime caper this February, thieves scaled the church facade and broke the head off at the fracture point, leaving behind harnesses, climbing ropes and pulleys. The origin of the bust is unclear; experts believe it was discovered at one of several barely-explored Roman archaeological sites in the area. The sculpture dates to the fourth century A.D., but its identity is not known. The bust is most commonly referred to as the emperor Marcus Aurelius because of the beard and hair, but that was a common style at the time and could just as easily be a local dignitary who wanted to depict himself in imperial fashion. Village folklore associated it with Saint Peter which is why it ended up decorating the bell tower. According to Luis Grau, director of the Museo de León, the sculpture is the best preserved Roman head in the region of Castile and León. Hence its lure to the thieves. Quintana del Marco has a population of approximately 500 souls and a Roman head in excellent condition sitting out in the open air proved so tempting even a 45-foot night climb was no deterrent. Selling it, however, proved to be a more arduous that scaling a church facade. The police found the thieves by tracing the climbing gear they left at the church to a shopping center in Seville. The suspects live in the Alcolea del Río neighborhood of Seville where police set up a surveillance team in an attempt to catch them in the act of attempting to sell their ill-gotten gain. The team noticed that whenever the suspects appeared to be meeting with potential buyers, they would take measures to evade surveillance and shake anybody who might be following them. This behavior only confirmed police suspicious that they were engaged in illegal activities. It all came to a head (yuk yuk) in June when police not directly involved in the surveillance operation pulled over the suspects’ car in Córdoba. 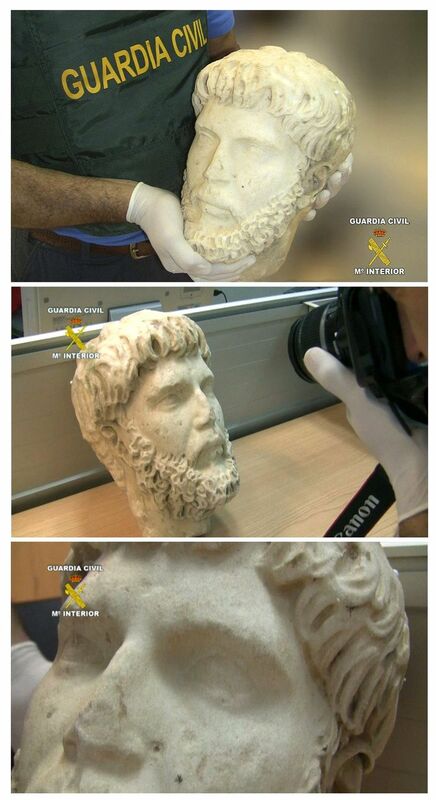 They found an ancient Roman head in the trunk, an ancient Roman head that the occupants had no documentation for to prove legitimate ownership. Since León police were looking for just such a head, the connection was promptly made. With the evidence obtained in the car search and over the course of the wider investigation, in mid-July police raided seven homes in the Seville area, six in Alcolea del Río and one in the Brenes neighborhood. They found more archaeological material, computers, climbing equipment, various relevant documents and more than 6,000 euros in cash. For your amusement, here is raw footage of the recovery of the head and the arrest of the looters. I really enjoyed it because they look like total losers.